½" to 72" #150 to #2500 Wide Range of thickness & Spec. 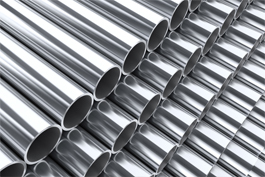 Carbon Steel, Alloys, Stainless Steel Duplex St. St., A105, FL2, 304/304L, 316/316L, F51, F53. 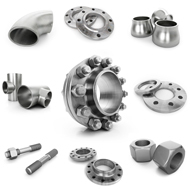 Spectacle Blinds, Drip Rings, Nozzles, Insulation Flanges. 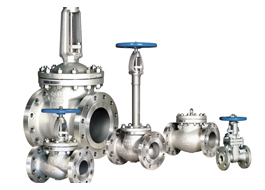 Carbon Steel, Alloys, Stainless Steel, Duplex St. St., WPB, WPL6, 304/304L,316,316L, UNS-S31803, S32750. Regular & Offset design CI & CS Execution. ½" to 3½" dia. Wide range of length. 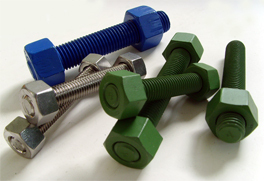 Fully and partially Threaded Stud bolt complete with nuts. 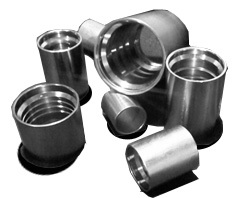 B7/2H, B7M/2hm & L7/4 L7M/7M Stainless Steel. Spiral Wound, Ring Joint, Tanged insert, PTFE Products, Rubber Sheets. 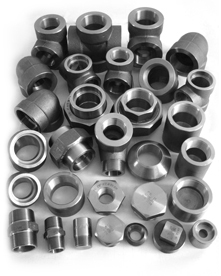 3000 1/2", 3000 3/4", 3000 1", 3000 1 1/4", 3000 1 1/2", 3000 2", 3000 2 1/2", 3000 3", 3000 3 1/2", 3000 4", 3000 5", 6000 1/2", 6000 3/4", 6000 1", 6000 11/4", 6000 11/2", 6000 2"
3000 1/2", 3000 3/4", 3000 1", 3000 1 1/4", 3000 1 1/2", 3000 2", 3000 2 1/2", 3000 3", 3000 ,3 1/2", 3000 4", 3000 5", 6000 1/2", 6000 3/4", 6000 1", 6000 11/4", 6000 11/2", 6000 2"